In 1628 there arrived in Constantinople, an envoy of the Calvinists from Geneva, the Arminian theologian Anthony Leger, as pastor and counselor of the Dutch Embassy. He, along with Dutch Ambassador Cornelius Haga "proved to be the evil demons of Cyril Loukaris," because they took advantage of the friendship and difficult position of the Patriarch and tried by various means to spread Protestant ideas. Their actions created confusion within ecclesiastical circles, which increased when Calvinists in Geneva in March of 1629 published in the name of Cyril and the Patriarchs Gerasimos of Alexandria and Theophanos of Jerusalem the so-called Lucarian Confession. Indeed all the actions and behaviors of Cyril even after the publication of the Confession, had the features of pure and authentic Orthodoxy. He preached from the pulpit against both Papism and Protestantism, and adorned the Patriarchate with holy icons, according to the testimony of Patriarch Theophanos. He excessively revered the Theotokos and referred to her person orally and in writing always with the phrase: "My Most Holy Theotokos." He honored the Saints, into whose chorus he ranked with an official ecclesiastical Act both Saint Gerasimos of Kefallonia and John the Hermit. He revered and venerated icons, criticizing and anathematizing those who considered to the contrary. He encouraged the Mystery of Confession, which he personally performed, and he taught the Orthodox teaching concerning the Divine Eucharist. 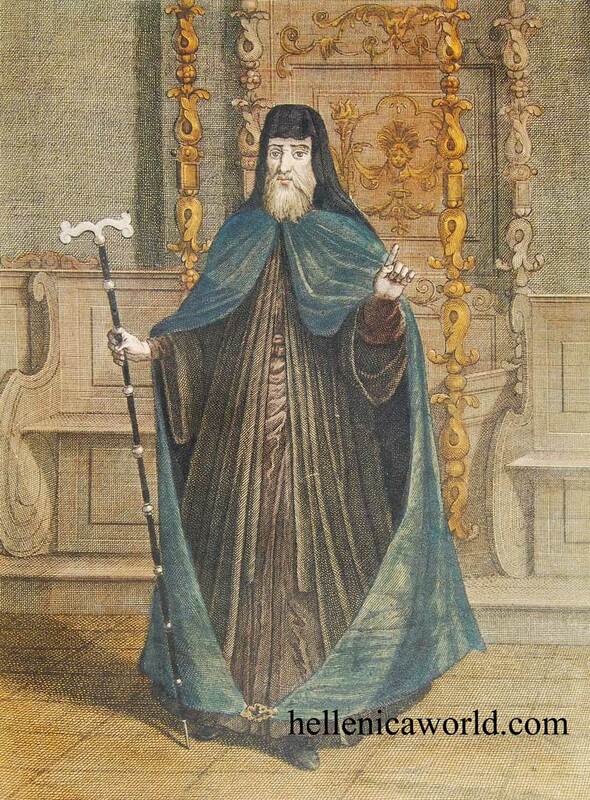 Indicative of the Orthodox phronema of Cyril is his response to the ruler of Transylvania Gabrol Bethlen on 2 September 1629, who requested his silent consent to proclaim Protestantism as the prominent religion of his territory and to impose it on the Orthodox Vlachs. Cyril, with a deep sense of his patriarchal office and responsibility before God, denied the proposal of the ruler as a treacherous consent, albeit silent, in introducing Protestantism to Transylvania. Replying to the arguments of the ruler, he wrote among other things that Protestantism is in error and its teachings "differ in the essentials of the faith, as confessed by the Eastern Church." And he argued that it would be preferable for the Vlachs to remain "without a religion," as they were described by Bethlen, than to become Protestants. In the struggle of the Jesuits against Cyril they found as an ally in 1632 Cyril Kontaris, "a rude and audacious man and a right-hand tool of the wickedness of the Jesuits." Kontaris, who was from Beroia, studied in the Jesuit school of Galata, having as a teacher Dionysius Guillier, under whose influence he developed into an ardent devotee of the Papacy and an enemy of Orthodoxy. With the support of his teacher he managed to become the Metropolitan of Beroia under Patriarch Timothy. In 1632 Kontaris arrived in Constantinople and began to slander the Patriarch and disseminate in government circles that he was in secret communication with Sweden and the Cossacks and conspired against the Turkish nation. In consultation with the Ambassadors of the Latin powers he asked from Rome the amount of one hundred thousand coins to seize the Patriarchal Throne. In October of 1633, he managed with the help of the Jesuits to remove Cyril and seize the Throne. His patriarchate only lasted seven days however because his actions caused the indignation of the Hierarchs, who deposed him and reinstated Cyril to the Throne. Kontaris was exiled to Tenedos and the Jesuits lost provisionally one of their important tools in their war against Cyril. 9. Χρυσοστόμου. Παπαδοπούλου, Κύριλλος Λούκαρις, ἔκδοσις β’, Ἐν Ἀθήναις 1939. Σελ. 85. 10. Χρυσοστόμου Παπαδοπούλου, Θεοφάνους Ἱεροσολύμων Ἐγκύκλιος κατὰ Λατίνων ἐπιστολή. «Ἱερὸς Σύνδεσμος» Ἀθηνῶν ΙΒ’ 1917, ἀριθμ. 282_288-289.